Two logging trucks crashed on Interstate 5 in Tacoma, sending one truck driver to the hospital with serious injuries. 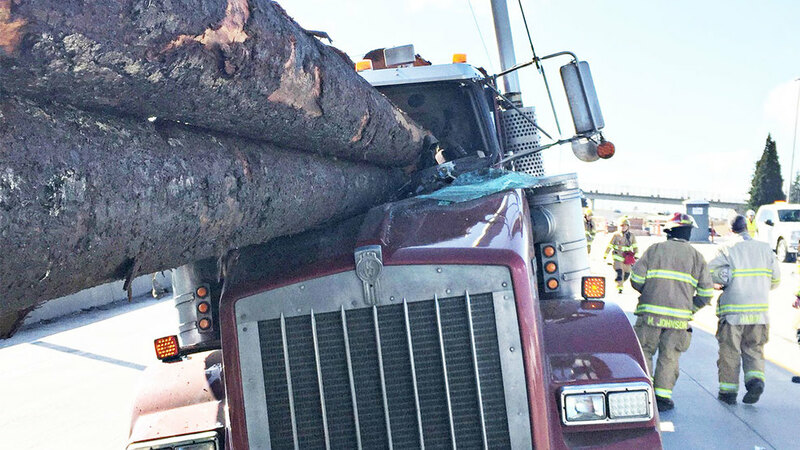 According to reports, logs from one logging truck crashed through the windshield of the other truck and out of the cab, severely injuring that driver. The initial Washington State Patrol investigation found that the first logging truck came to an abrupt stop while in a construction zone. The second truck crashed in the first one, causing the logs from the front truck to smash through the cab of the second truck. The incident occurred on northbound I-5 near the Highway 16 interchange around 9:45 a.m. If you have suffered injuries in an accident involving a logging truck, you have to prove your case before you can receive compensation. First, you must demonstrate that the at-fault driver had the responsibility of exercising caution to prevent you from getting hurt. All drivers have a legal obligation to reasonable care for their fellow motorists. Second, you must show that the truck driver did not exercise adequate care behind the wheel. And finally, you must demonstrate that the at-fault driver’s lack of a reasonable amount of care ultimately caused you to suffer injuries. Once you’ve been involved in a logging truck crash, you’ll hear from the adjuster from the insurance company that represents the truck driver. This adjuster will almost assuredly give you a low-ball offer to avoid giving you the total amount of money you deserve considering your injuries. Don’t sign anything. In fact, don’t talk to the adjuster on your own. Contact an attorney. Hiring a top-of-the-line logging truck attorney could mean receiving millions of dollars versus just a few thousand dollars in compensation. To increase your chances of obtaining the maximum amount of compensation available, be sure to keep track of all your medical records and bills associated with your logging truck accident injury. Also, take into consideration your possible future health care costs as well. 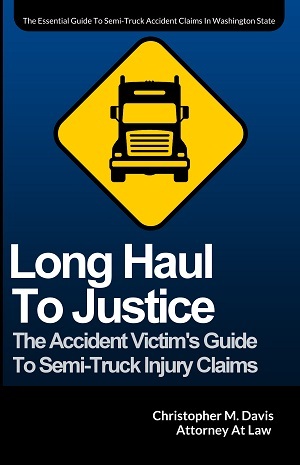 Contact logging truck accident attorney Chris Davis and the legal team at Davis Law Group, P.S., today. Our Seattle-based personal injury law firm will do everything possible to get you back on your feet, both health-wise and financially. Just recently, Mr. Davis recovered a $1 million settlement for a man that was severely injured by a logging truck in Port Angeles. The man suffered a cranial bleed, skull fracture, a traumatic brain injury with balance and memory issues, a tibial plateau fracture, as well as a loss of smell and taste. Mr. Davis held all at-fault parties involved responsible, securing the most compensation possible for the man and his family.